Hollywood Jobs: You Thought Actors Were Trouble? NPR's Susan Stamberg profiles the crafts and crew members who keep movies rolling. 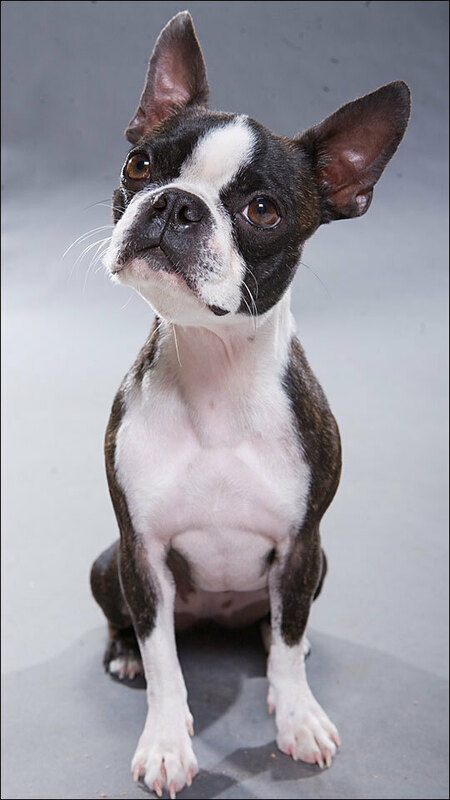 On the Hotel for Dogs set, she meets the trainers responsible for every bark and wag. Trainers Mathilde Decagny (left) and Steve Solomon (holding "Friday" — real name Cosmo) and animal coordinator Mark Forbes are the puppy wranglers who keep the upcoming Hotel for Dogs wagging. Hollywood animal coordinator Mark Forbes wrangled the beasties in this sequence from "Evan Almighty." Animal pairs boarded the ark in shifts, to minimize mayhem involving predators and prey. Special-effects wizards stitched the shots together later. Nip (or maybe her body double Tuck, we're not sure) stars in the upcoming Hotel for Dogs. Cole, who co-starred with Tim Allen in The Shaggy Dog, has a mere walk-on part in Hotel for Dogs. His trainer says Cole doesn't mind the billing, as long as the treats keep coming. 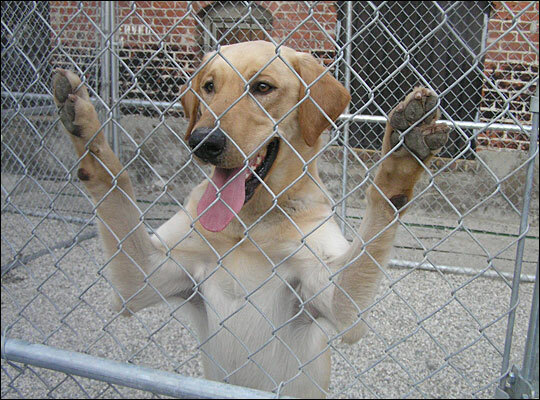 Clyde, a yellow Labrador starring in the upcoming Marley and Me, may soon hit "doggy stardom." In the film Evan Almighty, a congressman becomes a modern-day Noah. We know what happens to Noah: God tells him to get every species of animal — two of each — onto an ark. But how do you do that in a movie and make it look real? Special effects can go only so far. The job fell to Mark Forbes, Evan Almighty's animal coordinator. He says that when it comes to loading animals onto an ark, God had it easier than Hollywood. Forbes enlisted close to 100 species — the largest number in movie history, he says. Of course he had to film many of them separately as they paraded onto the ark in order to avoid predator-prey issues. He didn't want the wolves going after the sheep or the foxes chasing the chickens. Elephants are Forbes' favorite animals to train. He always saves them for the end of the moviemaking day because they finish fast. "They're smart and very well trained," he says. They'll hit their marks and move over a couple of inches, if asked. Forbes was most surprised by the porcupines. He expected them to be really slow — and kind of dumb. Turns out they have a lot of personality. "They learned to go to a mark," Forbes says, meaning they'd walk to a designated spot and stop. "They'd come up and put their front paws on your legs." He didn't touch the porcupines much, however. "We certainly didn't pet them backwards." Forbes just finished coordinating animals and their trainers for the film Hotel for Dogs — a heart-warmer about two kids who help strays find lodging, food and families. On the set one day in January, 50 dogs of assorted size and color sat quiet as mice on the splendid staircase of a grand old Hollywood hotel, waiting for their close-ups. 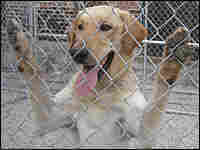 Except for two yappy extras — brought in just for the day — the 50 dogs were well trained, used to being on movie sets. Forbes says it takes extensive training to shoot what sounds like a simple scene — one, say, in which a gang of dogs escape from the pound. "It could be one sentence in the script," Forbes says, "but for us, it's weeks of getting all those dogs together, putting them in groups of three or four, making sure there are no fighters. Then training groups of 10, then groups of 20. "You start very small and work your way up to 60 dogs running together." The most important thing in animal training is trust. The animals have to trust their trainers. On a set on any given day, there are lights being moved around, strange noises, a lot of loud orders being given. "You can't necessarily prep all those things before you get to the set," says Forbes. "So eventually, for them, it's always going to be different. Oh that guy's moving that light, but that's OK, 'cause nothing's ever happened to me before in all these different places." Almost every main animal character in a movie has at least one double. Let's take cats, the hardest to train. As Mark Forbes says, "They're independent, and they could care less." Sometimes there will be three or four identical cats for a single role. There's the Holding Cat, who can stay still. There's the A-to-B cat, who can run from one point to another. There's the Action Cat, who can do the tricks. It all depends on the animal's personality. Thor Fruedenthal is making his movie directorial debut on Hotel for Dogs. He admits that at first he was skeptical about having so many animals on a set. He also realized their limitations. "The first ideas are always very wishful thinking," he says. "Can he jump from the counter onto the floor, turn around and tilt his head? No, because you have to break it up into several moments that you can control so you can ultimately create a continuous performance in the edit." In one scene for Hotel for Dogs, a huge bull mastiff named Oswald stands stock-still while a teeny black-and-white Boston terrier, Nip (she has a double named Tuck) waits for her cue. Nip's trainer, April Mackin, tells her to "Stay!" as the camera rolls. At the appropriate moment, April says, "Go, mark, mark!" — which means that Nip will run over and stop on a mark, directly underneath Oswald's front legs. The camera pans up to Oswald's massive face. 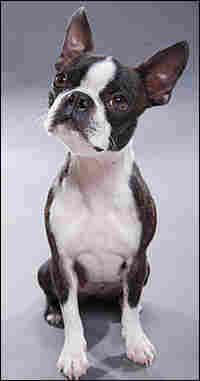 Oswald's trainer, Larry Madrid, gives him the cue to "Bark!" And he does. Those few seconds took a lot of training — and treats. Healthy treats, of course, like a hunk of liver, cheese or a vitamin-packed goodie. Sometimes, the animals will spend 12 hours a day on the set. But Mark Forbes says they know to sleep between breaks. And they're given plenty of exercise, in dog runs or nearby parks. There's always an American Humane Association representative on set — in this case it's Beth Langhorst — there to make sure animal performers are treated well, rested and fed. "We have a rather large book of guidelines," says Langhorst. "There's a lot of body language with an animal that tells you when they're really not comfortable." She's had no problems on the Hotel for Dogs set, but there have been times when Langhorst will intervene, "either talking to the director or the trainers." "If you blow an animal — if you get 'em so scared they don't want to go back in there — then you've lost your day," Langhorst says. "I will pull the animal." 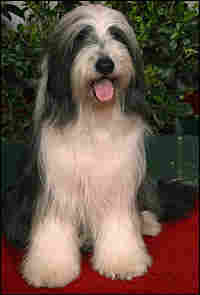 In a large outside compound behind the set for Hotel for Dogs, a bearded collie named Cole watches the passing crowd. 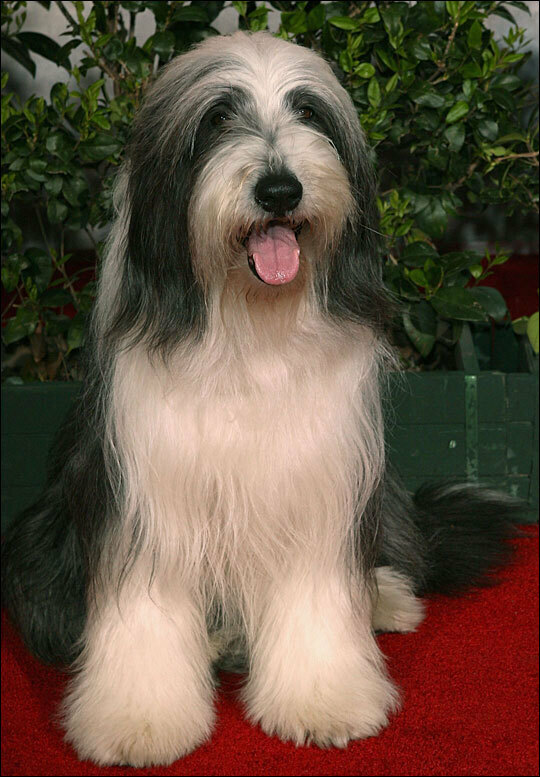 Cole was the star of The Shaggy Dog. On this film, he's just a background dog, but Mark Forbes says Cole doesn't care. "As long as he gets his treats and goes home and there's dinner, he's happy." At which point Cole lets out a big Woof! — all on his own, with no cueing. Nearby is Clyde, a probable star of tomorrow. He's a yellow Labrador being trained to play Marley in the screen version of John Grogan's best seller Marley and Me. His co-stars? Jennifer Aniston and Owen Wilson. The fictional Marley is completely out of control. And so, trainer Matild Decagny is allowing Clyde to be wild and crazy. "We go with the nature of the dog," Decagny says. "What you have to have for the sake of the set and the actors is control. I have to be able to stop him, but I can encourage everything silly and crazy that he does. I don't want to take away his personality." Clyde, of course, has no idea he's about to reach doggy stardom. Did Lassie ever dream she would capture the heart of Elizabeth Taylor? Did Toto ever think he'd meet a Wizard? And that little rodenty Chihuahua in Legally Blonde — think he ever dreamt of going to Harvard Law?